Franchise Development – There are also many people who are not looking to buy or sell a business, but they have an up and running business or concept that they would like to turn into a franchise. 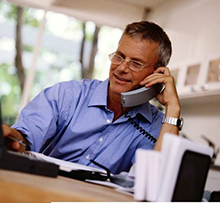 Business Brokerage - Third, we will train you on all aspects of Business Brokerage. You will learn how to guide the buyer and seller through the process to coordinate and close the transaction. It is very common for the business broker to receive 12% of the selling price of the business as a commission.